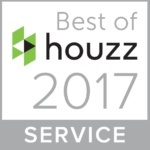 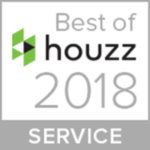 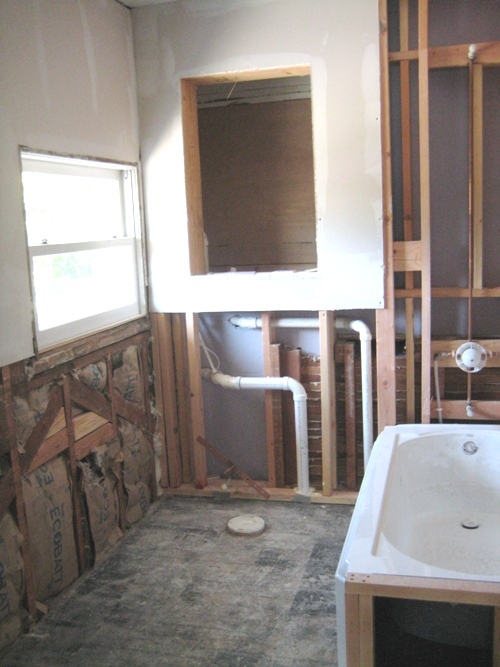 We are also remodeling the bathroom in this lovely home on 7th Street, so we wanted to walk you through the construction process of this aspect of the remodel as well. 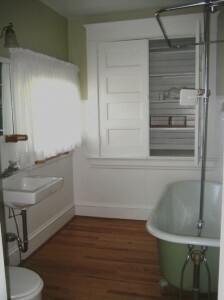 Here is how the Bathroom looked before – a clawfoot tub awkwardly placed in front of a large built-in wall cabinet, a toilet seen directly in front of the main entry door, a tiny sink squeezed in next to the window, and a poor choice of wooden flooring for a bathroom. 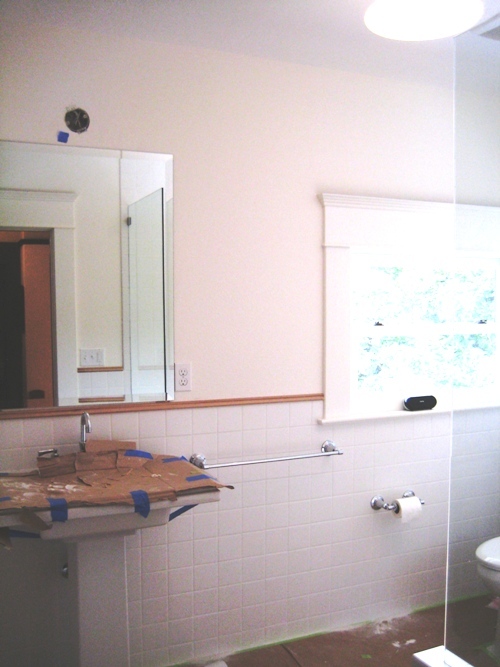 We demo’d the bathroom completely, and reworked all the plumbing and electrical to give a better over-all layout for the Bathroom floor plan. 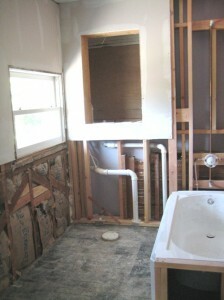 This photo shows the new framing around the new built-in bathtub as well as the rough-in location for the new toilet. 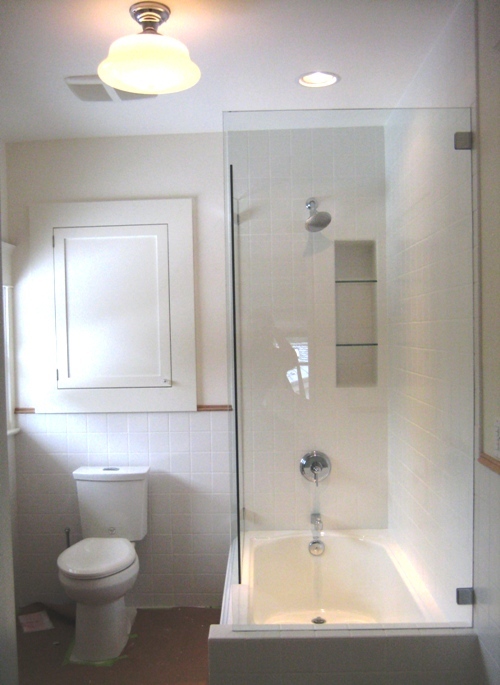 We are almost finished with the Bathroom now – the glass shower surround is in, the tile work is complete and the plumbing fixtures are all in place. As soon as we have all the finishing touches complete we’ll show you the “After” photo!